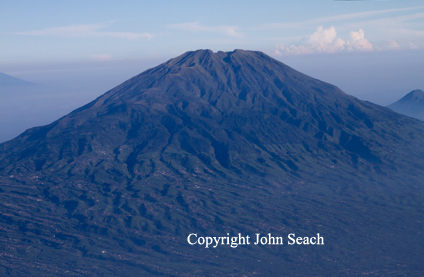 Merbabu is located close to Merapi volcano. It is a large overgrown volcano with three grabens. The most recent magmatic eruptions originated from a NNW-SSE fissure system that produced large-volume Kopeng and Kajor lava flows on the northern and southern flanks.